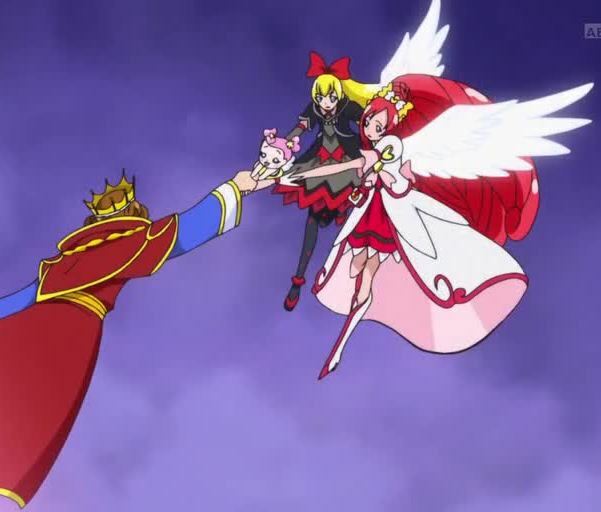 As the reader may recall, in episode 46 of DokiDoki Precure, we discover how the King of Trump Kingdom became King Selfish, or King Jikochou. He unleashed a Primordial Evil when he took the Sacred Crown sealing it to save his daughter’s life. 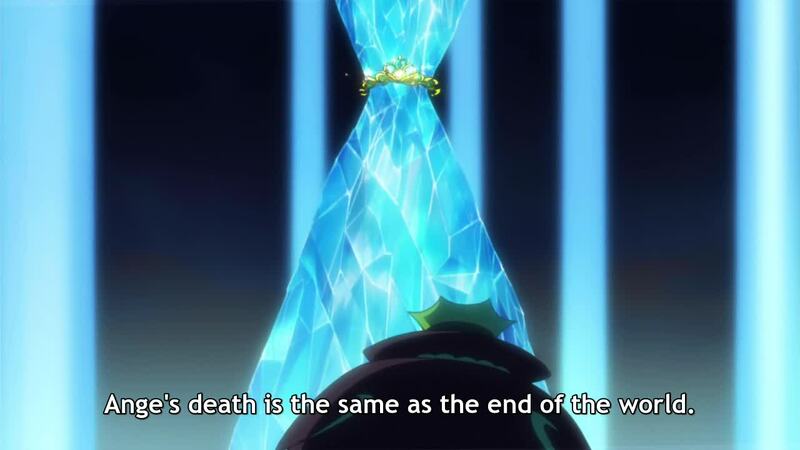 See DokiDoki Precure 46: The Fundamental Questions of Existence. “King Jikochou: Family love. Ha! Don’t make me laugh. You really think the citizens of Trump Kingdom will forgive me after I wrecked their Kingdom to save my daughter? This seems to be a bit of a riddle. Was not the King’s love for his daughter the reason that he unleashed Evil upon his own Kingdom? I think that the answer to this riddle can be found in episode 47. 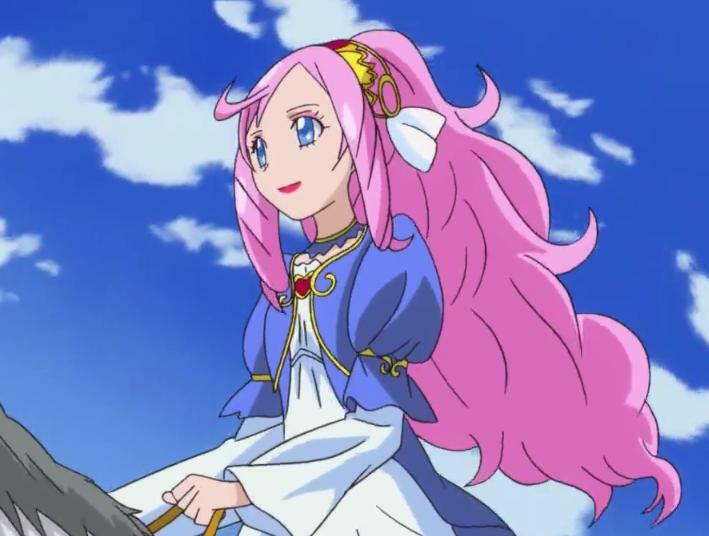 Regina-san, who was born from the corrupted part of Princess Marie Ange’s heart, led the Precure in explaining the answer. 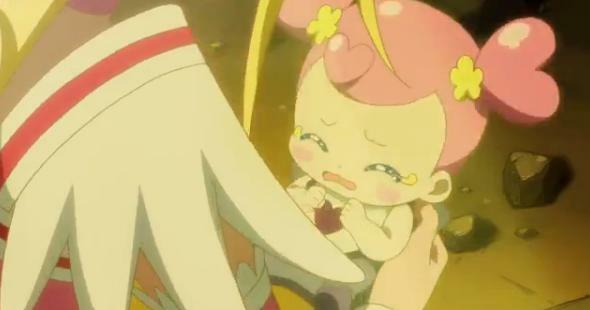 After this, Cure Ace was able to talk to her father as well: “Please stop. What connects us all is love. My fate as a warrior of love was not to defeat you, but love you! I’ve finally realized. And now I can do it. Do you know why? Because you’re still my father! 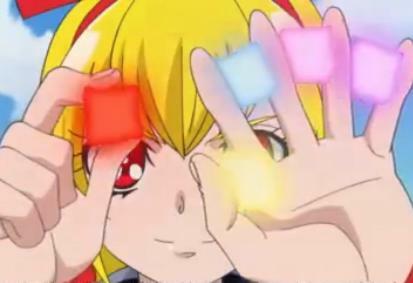 At this point, the King saw his daughter in Cure Ace and began to become free of the Evil that had overtaken him. It was his love for his daughter that saved him. Why is this when the love for his daughter opened the door to Evil? The answer is that he lost his love for the world. He was told that the only way to save his daughter was to unleash Evil. Was this true? Maybe, but maybe not. Evil is known for its trickery. One of the ways Evil tricks us is by presenting us with false dilemmas. The options in front of us seem to become limited, and we believe that we have no other choice but to follow the course of Evil. In this case, the sickness that had overtaken the Princess seemed to have been from the Seed of the Evil itself, so it would seem likely that there would have been another way to save her. Indeed, by opening the door to Evil, he not only brought forth the destruction of his own Kingdom, but he set the stage for his daughter to rip her own heart in two in torment. It was not love for his daughter that caused him to unleash Evil, but Selfishness. He was not doing what was best for his daughter. He knew his daughter did not want to live at the expense of his Kingdom. He did not want to experience the grief of possibly losing his daughter. That is not the same thing as love. This is a bit tricky to see, because if the King did not love his daughter, he would not suffer grief at her loss. Yet, love sometimes means to embrace suffering. We see this in the pain that Regina-san suffers in her heart when she started to feel love throughout the series. In his fear of feeling grief, the King lost his love for his Kingdom AND paradoxically enough, he lost his love for his daughter as well. As he said before he gave in to Evil, “Ange’s death is the same as the end of the world.” When he gave in to Evil, he lost sight of everyone else other than himself. That is not love, but selfishness. 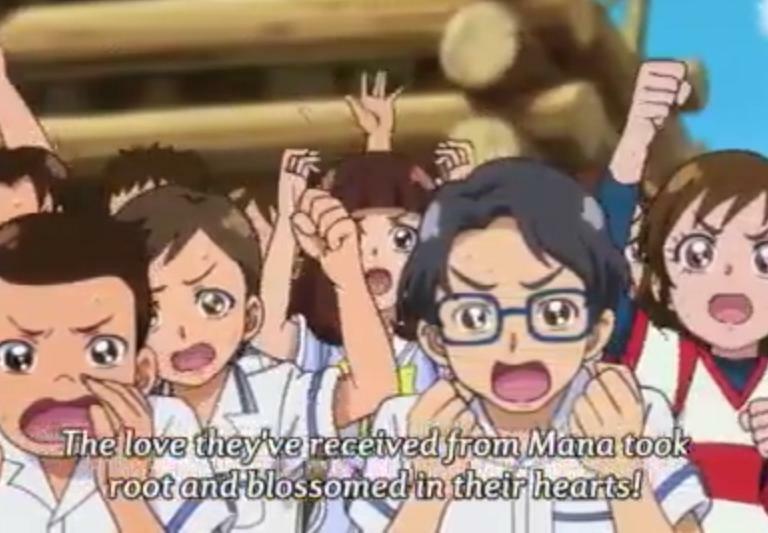 Throughout this series, DokiDoki Precure has explored many complicated matters surrounding things that look like love, but are not love. Yet, in the end, we always find that these complexities are not really about love itself, but are really selfishness disguising itself as love. 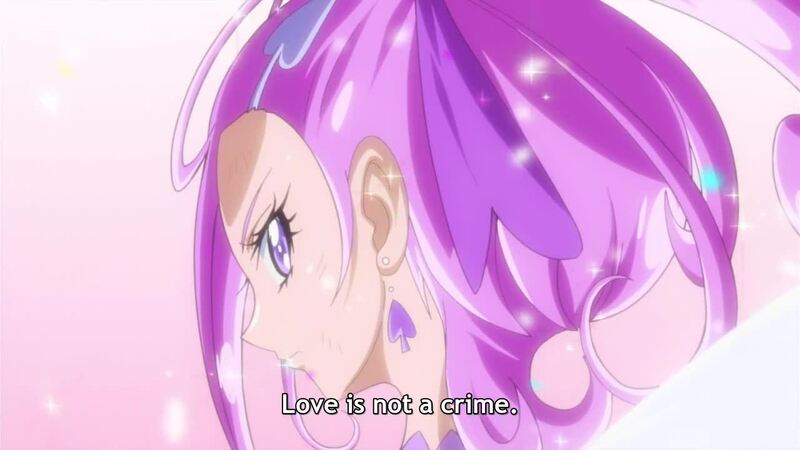 As Cure Sword eloquently pointed out, love is not a crime. Love is never a crime, and love is always the answer. No matter how complicated the situation seems to be, it can always be resolved with love! 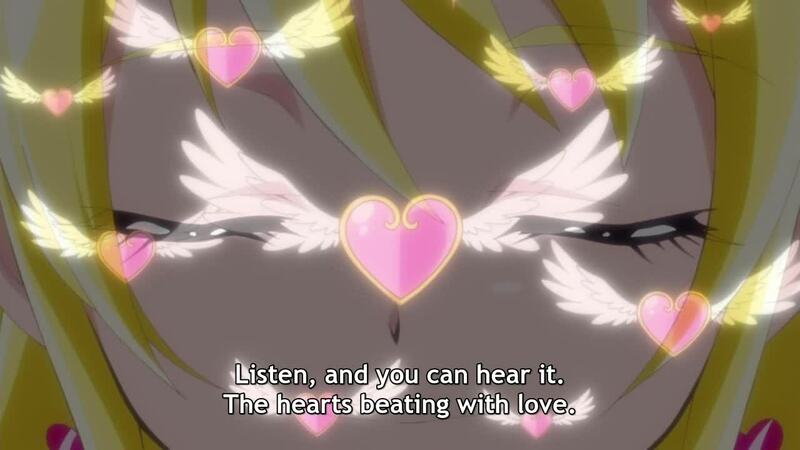 In the words of feminine Scripture, “Of all things, love is the simplest.” I think that this is the overarching message of DokiDoki Precure. 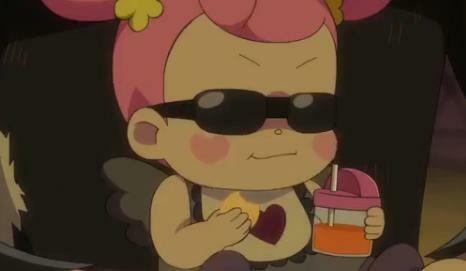 With this article, I believe that my coverage of DokiDoki Precure is complete! (Hee…although you never know, other authors may still have things to say about it!) It really was quite a series, wasn’t it? Thank you for following my articles and the articles of the other Senshi. Cure Yasashiku signing out for now! 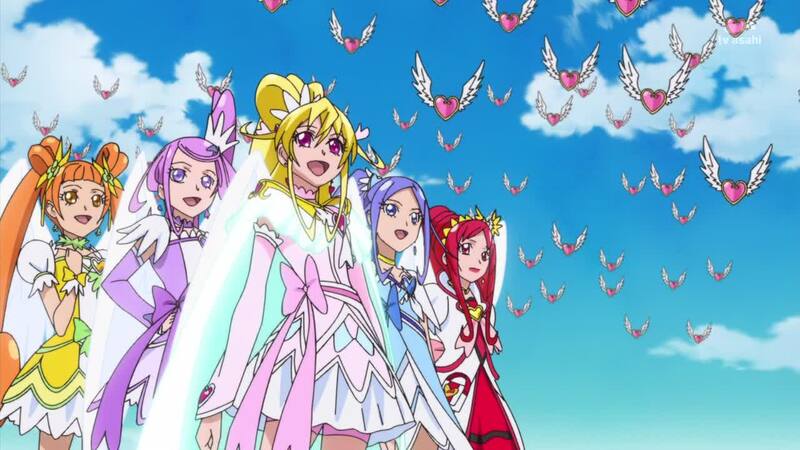 Doki Doki Precure was quite an exciting series, and I thought that the finale was breathtaking. For me, the scariest moment was when the Primordial Selfish was able to blacken and steal the Psyche of Cure Heart…at least momentarily. 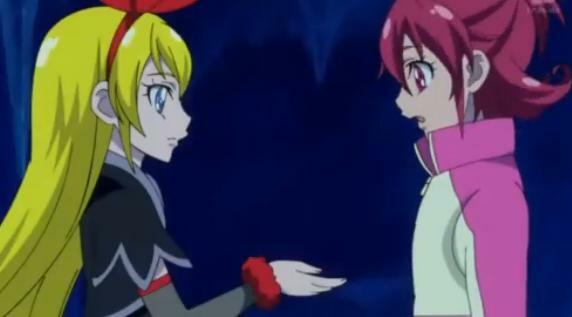 Cure Heart had been so stalwart throughout the series, often being compared to the Happy Prince. It was quite a surprise that the Primordial Selfish was able to corrupt even her. 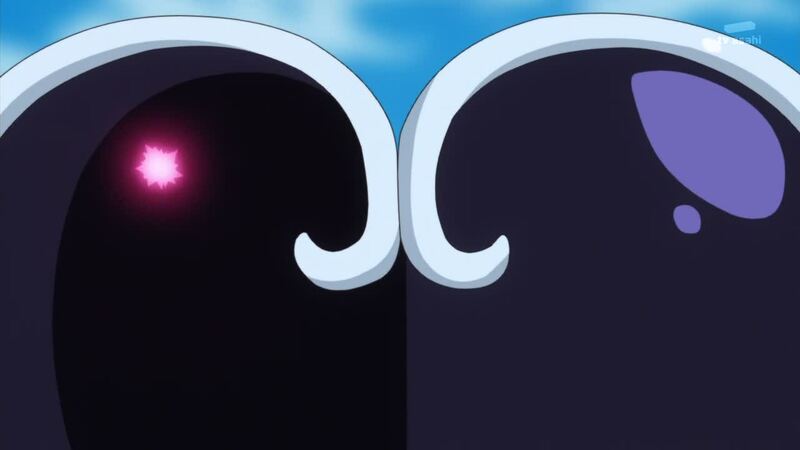 One of the things that is so impressive about Precure is the way that metaphysical themes are woven deeply into the story, and how their finales weave these themes together. 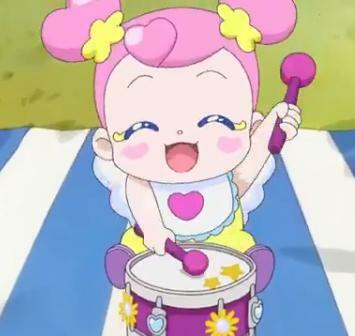 I have read some reviews of DokiDoki Precure by Western commentators, which complained that the stories of the individual characters seemed to be disjointed and disconnected. What these commentators failed to understand is that this story is not character driven, but is a story in the truest sense of the word, a tale that illustrates spiritual and metaphysical realities. The individual characters represent ideas and themes. 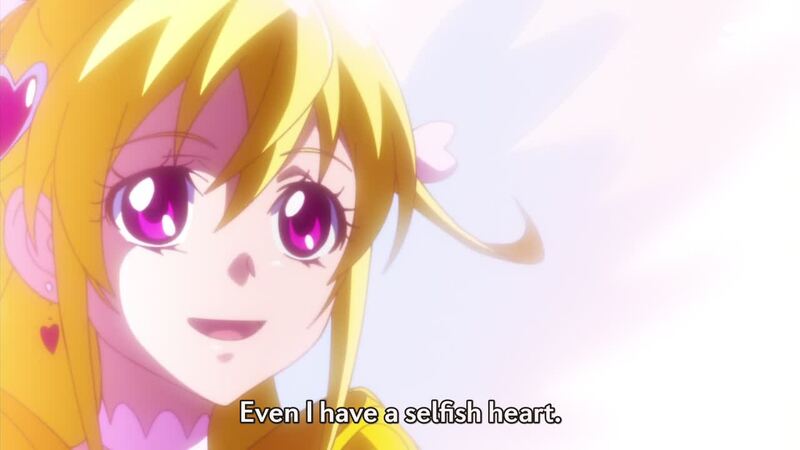 The primary theme of Doki Doki Precure is Love and Selfishness. Throughout the series, we are taught that, as Axial Beings, we have the choice between Love and Selfishness. This theme was manifest at the very beginning of the series and has been present throughout. 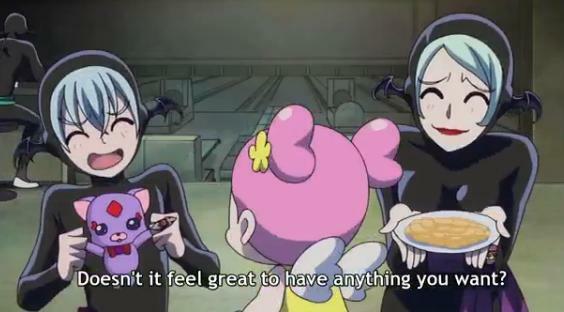 See The Philosophy of Doki Doki Precure: An Overview. 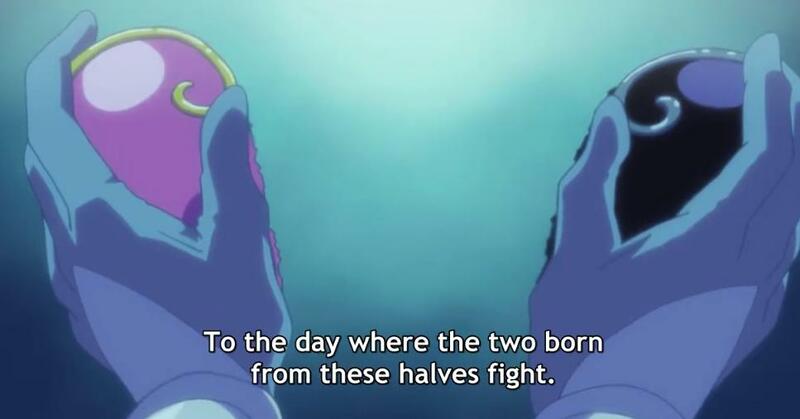 Throughout the series, we were shown how the choice between Love and Selfishness is a continuous one, with day to day choices having broad ramifications to the world and to the battle between good and evil. Here at Senshi, we have discussed this at length. 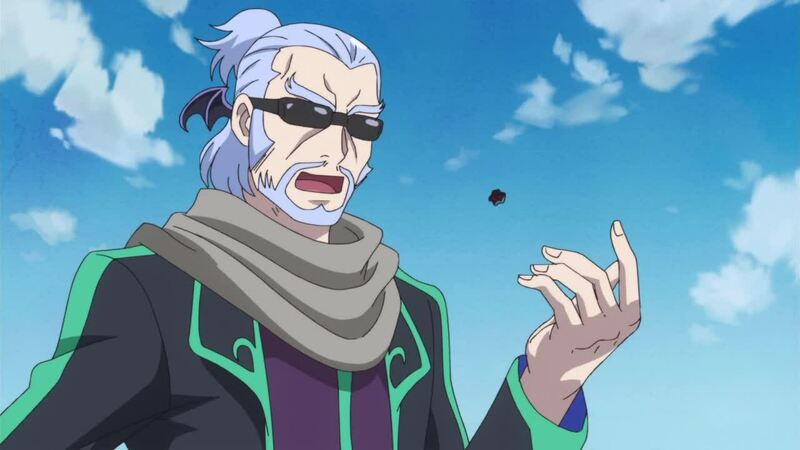 I have seen many, but not all, of the Precure series all the way through their finales, and there is an interesting difference in DokiDoki Precure. In every other finale I have seen, the world was destroyed by Evil before it was rescued. 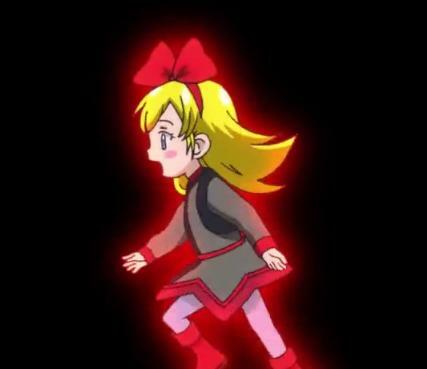 Yet, in Doki Doki Precure, the world is in danger, but it was not destroyed! Why is that? We are told the answer to this in episode 47. Trump Kingdom was destroyed because the citizens themselves chose Selfishness when they were in danger, and they became Selfishnesses themselves. Yet, the citizens of this world did not. People started to become selfish, but then they chose to help one another and show love for each other instead. The world was not destroyed! 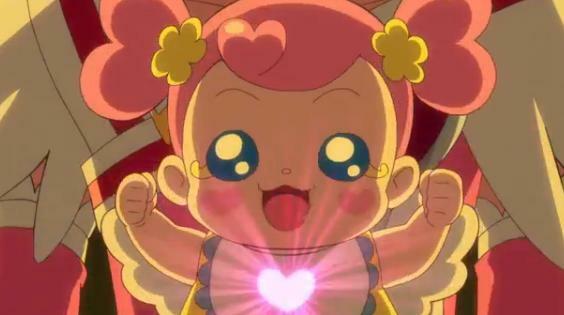 In episode 48, the world cheers the Precure on, shouting “Precure Ganbare!” The Precure, Regina-san, and Ai-chan were able to save the King of Trump Kingdom, and the world was apparently saved from Darkness and Selfishness. There was quite a surprise at the end of episode 48, though. Bel-san, one of the minions of the Selfish Kingdom, made the choice to take into his own body the small bit of Darkness that remained after the King of Trump Kingdom was saved. When Bel-san made that choice, he awakened the Primordial Selfishness. This Selfishness fully enveloped him, which set the stage for a surprise episode 49. 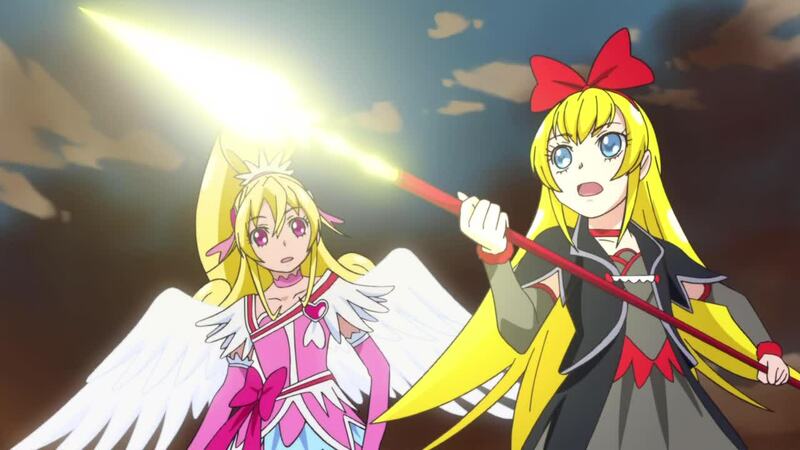 It was during this battle that Cure Heart’s Psyche was taken. A black spot formed, which the Primordial Selfishness caused to grow. 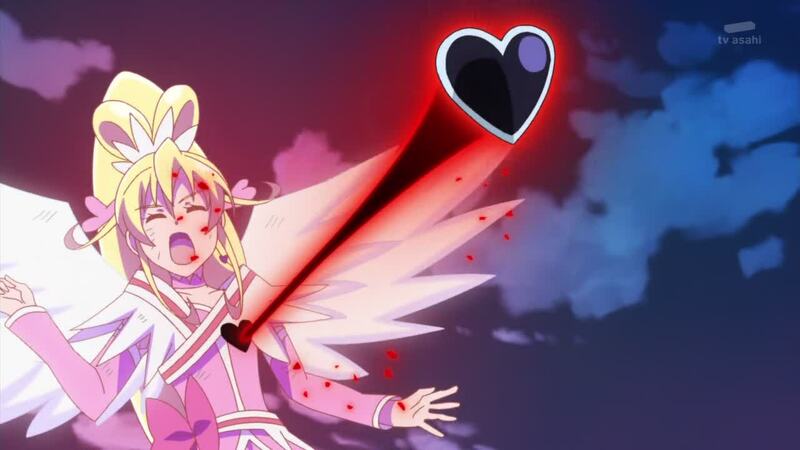 Cure Heart tried to resist, but she was unable to. Then her Psyche was stolen. It followed the same pattern as every other time a Psyche was used to create a Selfishness. That was not the end of the story, however. 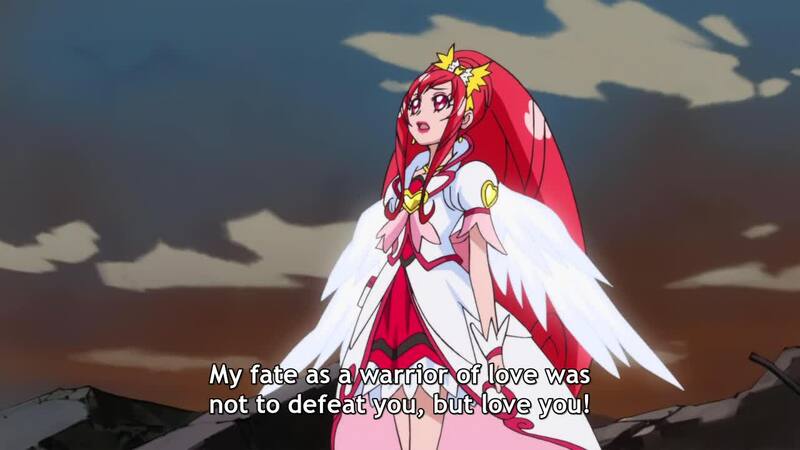 Just when we thought all would be lost, Cure Heart’s Psyche was restored, and she returned to fight back even stronger than before. She was able to receive strength from the other Cures and the power of the Sacred Treasures to transform into Parthenon Mode, and she defeated the Primordial Selfishness. Why did all of this happen? 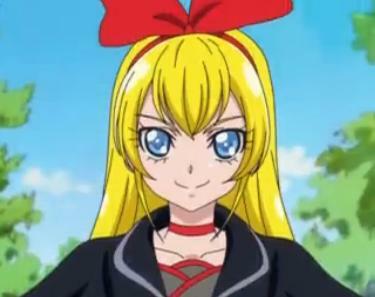 Why was Cure Heart overtaken, and why was she restored? “Primordial Selfnessness (“PS”): As long as humans possess selfish, egotistical hearts, I will always return. Always, I tell you. Cure Heart (“CH”): I know. Even I have a selfish heart. After this exchange, the Primordial Selfishness was defeated, and many fluttering hearts were returned to their places. This world and the Trump Kingdom were fully restored. Yes, each and every one of us has a selfish heart that can be corrupted. That is a part of our nature. In Filianic thealogy, each of us as a False Self. While that is true, we also have the choice to resist our False Selves, or our selfish hearts, and choose love. So long as we choose Love, Selfishness will always be defeated! 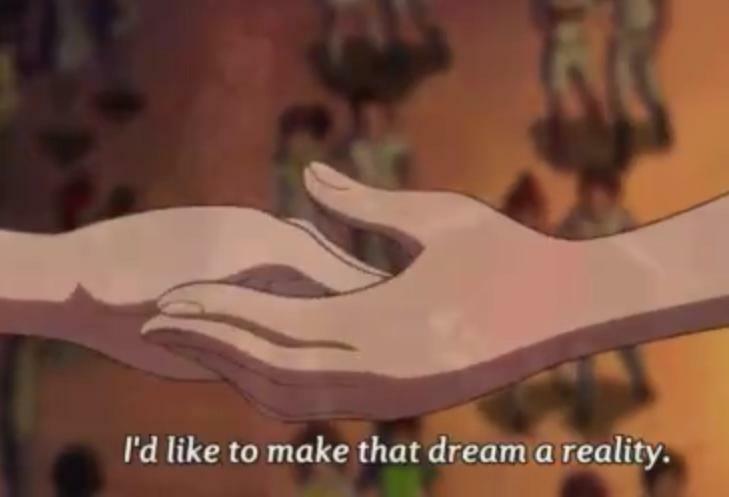 I believe that this is the message of DokiDoki Precure!